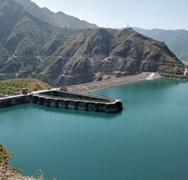 The 250 MW Ghatghar Dam refers to two associated gravity dams built using roller-compacted concrete, the first of its kind in India. 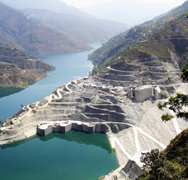 Both dams create a lower and upper reservoir for the 250 MW pumped-storage hydroelectric power station. 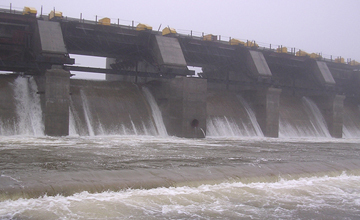 The upper dam is 14.5 m high and the lower dam is 86 m high. 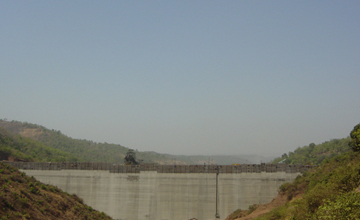 The scheme consists of transferring water alternatively between upper reservoir and lower reservoir. 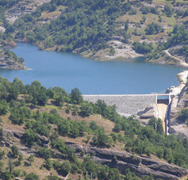 Encardio-rite was awarded the sub-contract for monitoring of the dam. 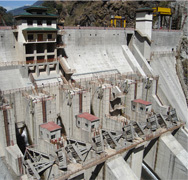 The scope of work included supply, installation and monitoring services. 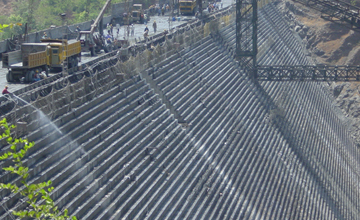 Special care was taken to protect embedded instruments from possible damages during roller compaction processes. Sophisticated lightning protection units were used to ensure fullest long-term protection of instruments against lightning strikes. 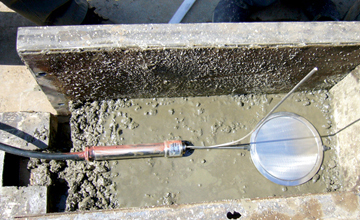 Temperature monitoring of the concrete had critical importance. 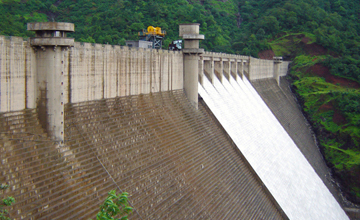 A system was deployed to monitor the temperature rise and cooling in the dam body due to the heat generated by the exothermic reaction of cement with water. 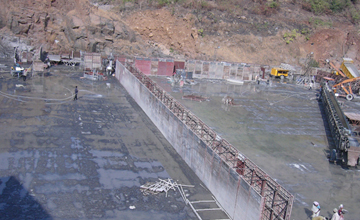 The temperature of the concrete was regularly monitored every six hours right from the time of dumping of concrete. 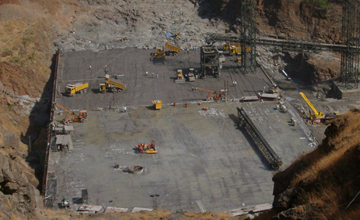 The extensive instrumentation used in this project included piezometers, uplift pore pressure, strain gages, pressure cells, joint meters, temperature sensors, level transmitter, seepage measurement device, plumblines, portable readout unit, Automatic data acquisition systems, seismographs and weather station.